Well, you may have noticed that we haven't been posting as much on the blog lately and we have to confess it's because...we're pregnant! And I've been pretty tired, so less baking and posting than I would like. But now, that we're out, this does open up the topic of pregnancy and food. And have I had cravings! This week, the two cravings that I wanted to talk about were for milkshakes and for burgers. If you haven't been to an In-N-Out, they are a fresher version of fast food- nothing frozen, all made in plain sight. And they have a secret menu. That link tells you a few secret ways to have your burger like the well-known "animal style" but there's more like "well done" french fries (fried longer so they are crispier) and a neapolitan shake (see photo above). I'd never had a shake at In-N-Out. 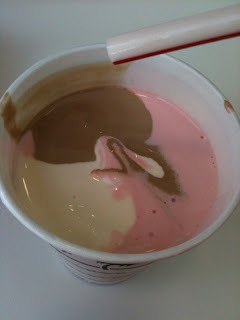 It wasn't nearly as good as a hand-scooped shake at Val's in Hayward, but the swirls of color were fun. And my burger, well I always get the same thing: a cheeseburger with mustard, lettuce and pickles only. And it just hit the spot. 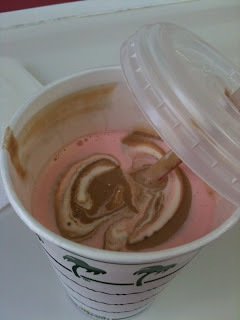 Note: after fulfilling this craving for the burger and shake, I felt the baby kick for the very first time. Apparently, he likes In-N-Out too! I've been having other milkshakes and malts judiciously...but we still need to go to Val's again to have the handscooped banana shake. 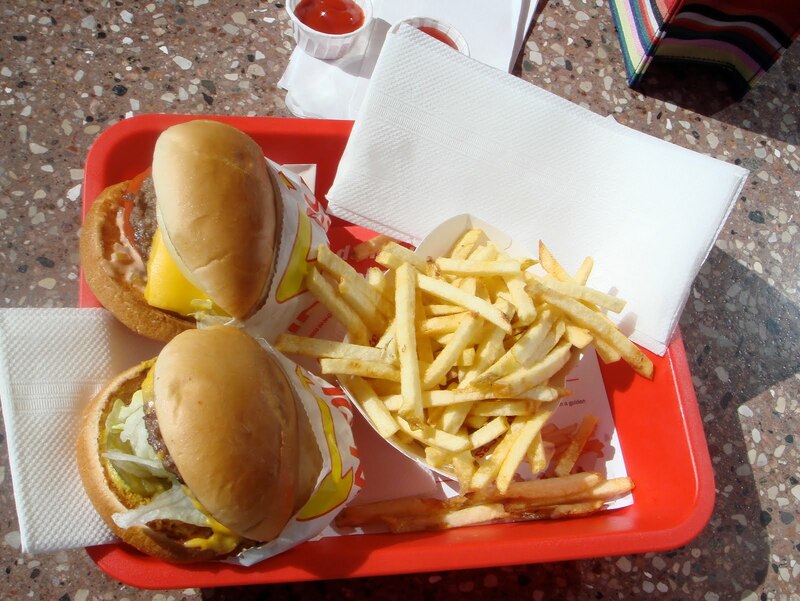 Have you been to In-N-Out? What's your favorite way to order? Any milkshake recipes that I should try? Congrats to both of you! 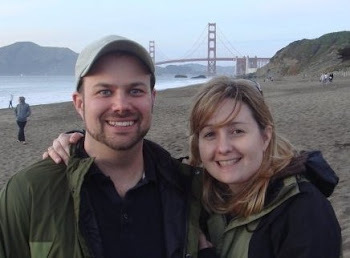 I was a big fan of ice cream during both pregnancies - even though we had a really cold winter while I was pregnant with Owen. Perhaps it was the calcium? Enjoy those cravings! Congratulations on the pregnancy! Awesome news! My favorite In-N-Out is a cheeseburger with grilled onions. Love it that way. Never been a fan of their shakes - stick with Val's! Cravings - dairy and salt. Chocolate ice cream and plain potato chips. Maybe that's like fries and a shake. I also craved dry salame, not sure why it couldn't be the sliced kind, had to be the hard, crusty kind - thick slices, yum. Haven't craved it again the last 22 years! Enjoy the pregnancy and the many changes that have already occurred and will continue. Life will never be the same and it will always be wonderful! Thanks, Audrey and Claire! Coming soon, my favorite mini-ice cream sundae that I've been indulging in a few times a week. It's amazing the things that I've craved that I don't normally eat! So I have two suggestions for the perfect milkshake! well at least they were perfect in 1999. Take Hwy 101 North- First stop is the Chief's Smokehouse‎ 44400 U.S. 101, Laytonville, CA 95454 the other is Toni's 24 Hour Restaurant 1901 Heindon Rd Arcata, CA 95521. Either one offered milkshakes to order and so thick that you might still be drinking the first one when you get to the second stop 2 1/2 hours later. Both include gobs or scoops of flavor, Berries, Chocolate chips, pineapple, oreos, etc. 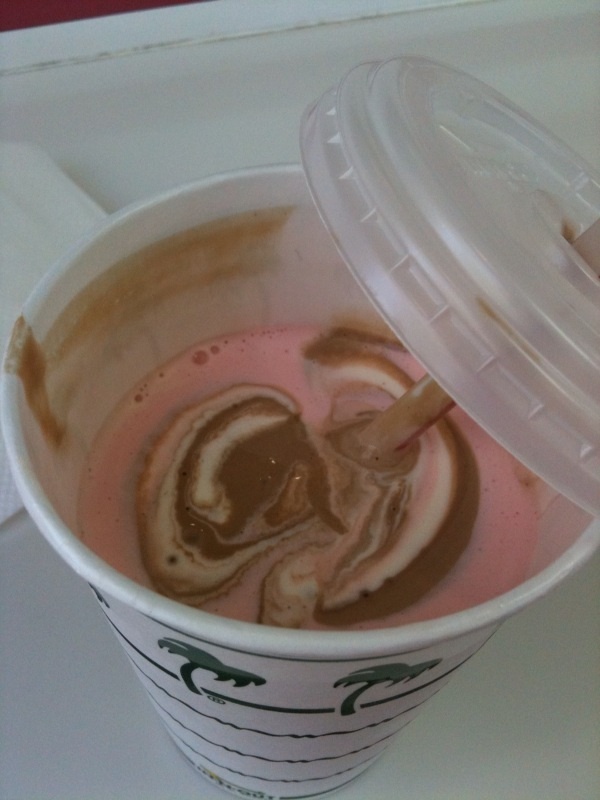 I am a big milkshake fan and when it comes to fastfood restaurants I begrudgingly get a burger so I can pretend I am eating a meal but really all I want is the milkshake. Regarding cravings, I don't really remember having them with either pregnancy but I did eat my fair share of PB&J for breakfast with a glass of OJ. I hate to burst your bubble, but eat your ice cream now, while it's early. The nurse at our birthing class told us that in your 9th month, when all the baby has to do is grow, ice cream (and other such fatty foods) is like plant food to the baby. Congrats again! Murder Burger milkshakes. Or Fentons. I might just have to go get a milkshake now. Breastfeeding makes me crave calcium. Ooh Fentons! Yes! This weekend will officially involve a trip to either Fentons or Vals. Oh, and I forgot to say. I order a cheeseburger Animal Style. Love the mustard grilled beef and adore the grilled onions. If I want to be healthier, I ditch the spread and get it with mustard and mayo. Congrats you two! I'm way behind on blog reading and just found out the news! Wow, I can't believe I'm a month behind. Things have been busy at our house too (but no, we're not prego) haha Enjoy those milkshakes, I prefer just vanilla and strawberry myself, and animal style fries!